Are you a young graduate? Do your studies focus on networking and ICT? Would you like to do a research project on telecommunication networks and e-infrastructures? This could be your opportunity to make it real. 10 scholarships worth 19.000 € to implement a one-year research project, with the possibility to extend the scholarship up to other 12 months. Your research project shall focus on the application of innovative technologies for the development of digital infrastructures and their services in multidisciplinary contexts. These projects are to be carried out at GARR headquarters in Rome or in one of the organizations connected to the Italian research and education network. Young graduates (Laurea magistrale o a ciclo unico) or undergraduates (laurea triennale) born in 1988 or later holding a degree from an Italian or EU university or equivalent. The scholarship is compatible with attending a graduation degree course (Laurea Magistrale). It is also compatible with PhD studies, provided that the student hasn’t been awarded a PhD scholarship and the PhD topics are in line with the research for the GARR scholarship. The participation is open to Italian and foreign citizens, provided they are fluent in Italian (C1) and proficient in English (B2). To participate, you’ll need to specify the research topic and the organization where you will carry out your research project. Your profile, including a short CV and specifying your graduation mark and a list of passed examinations. (up to 2 pages). You can choose to carry out your research either at GARR premises in Rome or in another organization chosen among the connected institutions. For the latter option, you will need the selected organization, unit or department to declare that they intend to host you for the duration of the scholarship (this should be done in the form of a letter of intent signed by its director) (see "the template letter"). To participate in the selection, fill in the online application form, where you will ne required to upload the research proposal and (if required) the letter of intent from the hosting organization in PDF format. How are the proposal evaluated? Submitted proposals will be evaluated by a committee appointed by GARR president. The evaluation criteria are originality, innovation and short-term applicability of the proposed research topic. The evaluation commitee will rank the applications on the basis of their compliance with these criteria at their incontestable discretion. The information provided by applicants are considered as confidential. The responsible subject for personal data management is GARR Director. The deadline for applications is set at 30/03/2018 12:00 CEST of 30/04/2018. The complete call for applications and scholarship regulations are available here (in Italian only). Why applying for a research experience in GARR? By becoming a GARR scholarship holder you will enter an innovative and exciting environment, where challenges are opportunities for professional growth and your contribution can directly benefit the Italian R&E community. With us you’ll have the opportunity to study and experiment with the latest trends and evolutions of network and cloud technologies, have a first-hand experience of innovations that will impact on these technologies in the next years and meet the experts who are making these innovations possible, in Italy and beyond. 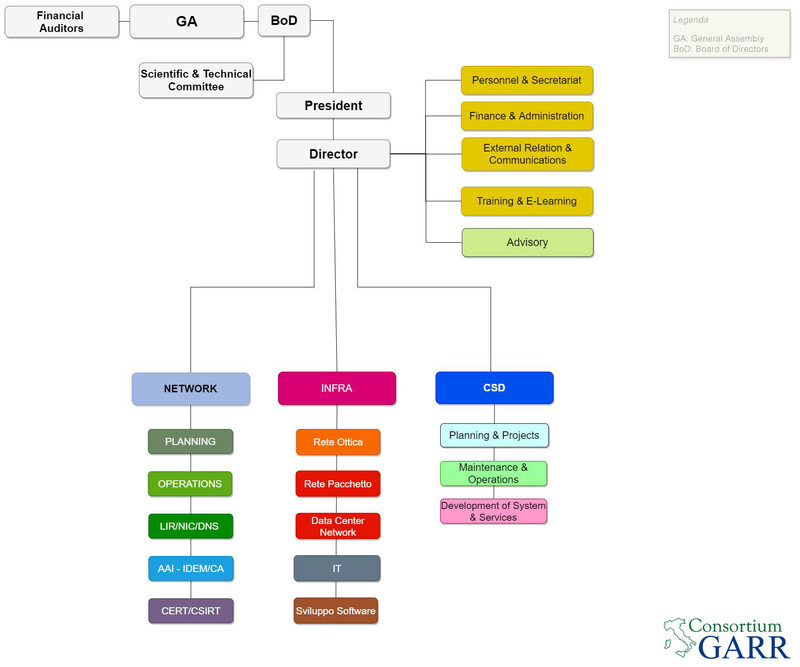 GARR, the Italian Research and Education Network, is from 30 years at the forefront of the evolution of e-infrastructures in Italy and it is deeply intertwined with the worldwide system of Research Networks.